Can they fight for the championship? Why is it rolling the dice? Ha... because its Honda. Of course its rolling the dice, they've made this move to end up challenging for World Championships. A distant 3rd or, heaven forbid, lose ground from the Renault days, isn't part of the plan. You lot are talking like its a foregone conclusion they will be better than 2018. This season can't come quick enough. Keep this in mind too - Honda, apart from the odd season here and there, have generally been garbage since the first McLaren Honda era. You count the years. Red Bull have very high expectations. Sink or swim. They were stuck between a rock and hard place with Renault. Trying to make it sound like Red Bull has ditched some top contending/works status PU is a bit daft to begin with. Renault has been talking a big game for quite some time now and have yet to deliver anything near a top level PU (continually struggling to get their new spec engines to work reliably). Maybe the Renault will come good in the next year or 2, but by then Red Bull may get stuck playing second fiddle (and the shenanigans that can come with that) to their supplier who has championship aspirations as well. And who knows how interested Honda would have been to stick around supplying a back marker for the next couple of years, all the while waiting for Red Bull to decide their future. Red Bull were basically cornered anyway you want to paint it. As far as Honda having a poor record in the modern era - I agree to some extent, but times change and people change within the teams. Maybe Honda should have never entered the sport again if the ideology is that the past must dictate the future. Renault was solid in the V10 and V8 era but have been abysmal in this hybrid era....things don’t always coincide. RBR had nothing to lose by leaving Renault. They suffered terrible reliability and mediocre performance year after year and it wasn't improving. By contrast Honda have improved since moving to STR and RBR have access to the data. Will they be on par with Mercedes and Ferrari in March? maybe not, but they are both probably near to the limit in terms of what they can squeeze out of the PU, whereas Honda are still a way off, so should be able to catch up. If the chassis, drivabiliy and reliability are good and if Max can stop binning it time after time, then there's a good chance that RBR could be fighting for wins by the Summer. Edited by DrF, 27 January 2019 - 21:41. The switch to Honda was a good one. On paper and in terms of commitment from both sides to one another. That synergy was gone long time with Renault and the whole gello wrestling went from bad to worse. The Honda switch is a good one. I only hope it brings them last to Mercedes and Ferrari. If so, they will challenge for the championship. That much is sure. I agree. No one knows how they'll do. There were some positive sounds though last year, even from some Merc drivers at Spa who had a hard time keeping up with the STRs at Spa. In the end Red Bull are the only ones who have the data, I'm sure you can agree with that. It was not a roll of the dice either, the Renault "relationship" had run it's course. Honda was the only way to move forward. So either Red Bull are full of it and they'll make a fool of themselves or they can finally mix it up wit Ferrari and Merc. We'll have to wait and see. If they fail I wonder how that will affect Gasly and Verstappen's careers. In effect it was a forced 'roll of the dice'. Maybe I should have clarified that. Because your right - what alternative did Red Bull have? Absolutely none. Still imo its a roll of the dice, Honda come really (properly) good and Red Bull look like heroes. Honda tank - and given you alluded to what could happen to the careers of Verstappen and Gasly - that could be a fascinating subplot. I have said it once before... I'll say it again. Verstappen will not just hang around quietly wasting the next two seasons if engines are expiring, still not cutting it with Merc/Ferrari and he's little chance to win anything. Red Bull Honda don't have two seasons to get this right and 'getting it right' means fighting for the World Championship asap, not in 3 years time. I have my popcorn ready! Edited by PlayboyRacer, 27 January 2019 - 23:41. Well I can’t imagine Verstappen would have been too pleased had Red Bull stuck with Renault PU’s for the future either. The guy seemed like he was at his wits end with Renault last year lol (luckily he wasn’t in Ricciardo’s shoes). And it’s not like Verstappen has a bunch of doors/seats open to him atm. Who knows, maybe in a couple of years time he will, but his future at those teams banks on how long Hamilton stays at Mercedes and how LeClerc and Vettel end up fairing at Ferrari. With that said, we are not the right people too assess how much time Red Bull Honda have to get it right. At the end of the day no driver is bigger than the team and I’m sure Verstappen will act accordingly (if he’s wise). Bad mouthing your team won’t get you too far in F1. Edited by BJHF1, 28 January 2019 - 00:24. For me that's the key to RBs decision. They had access to both Renault and Honda data at the same time (I can't remember any other team ever being able to do that) and could make a direct comparison. If nothing else RB have made this decision with their eyes wide open to the facts, which makes me think Honda are on the up. To the contrary, both Ferrari and Mercedes would be mad to not sign Verstappen ASAP. Even if that places Verstappen alongside the existing number one driver Hamilton and Leclerc respectively (assuming Vettel will be moved on or relegated to number two through being slower than Leclerc and mistake prone). There is little Red Bull can do about this. Red Bull may have to grovel to the Honey Badger to get him to come back if Verstappen moves on! Edited by V8 Fireworks, 28 January 2019 - 09:02. You may call it rolling the dice, butthe chances of being on par or above Renault's performance seems much bigger than the other way around. I'd call it a calculated risk, and I'm convinced RBR is pretty decent in mathematics. Renault have an all new PU for 2019, which may be a large step, or course it could be an unreliable flop. Honda will evolve the Spec 3, which was much faster than the 2018 Renault in qualifying, but perhaps slightly slower and less economical in race setting. Edited by V8 Fireworks, 28 January 2019 - 09:04. Edited by Mc_Silver, 28 January 2019 - 09:15. Renault made many promises yet never delivered. Their spec 3 was also a 'big step'. However, it wasn't reliable, had poor driveability and required substantial (and expensive) changes in the car layout. Basically they screwed up and wasted a lot of resources there. resources that could/should have been used for the all new 2019 spec. I have little trust in them being able to turn this around. Staying with Renault and hoping they'd come with a decent engine seems like a bigger gamble to me. Putting Verstappen in either of those teams would be great (for us). I can't see Mad Max moving over for anyone (if he did for Ricciardo then I don't recall). We can obviously never know, but TR had sone remarkable Q3 performances where they greatly outqualified the Renault works team, despite TR not having big aero updates. In my view, the Honda engine looked a step ahead of Renault PU in Qualifying. But still behind in overall race percormance. In the hybrid era Renault did make an engine that's more suited with there brand. It was still not reliable and lacking. There where also problems with installations done by the renault guys. The Honda is not a super engine but it's on par or above the renault engine. Red Bull didn't lose they only gained honda has now 4 cars. 2 development cars of course and with last year in mind if they have to change a engine more it doesn't hurt that much as long as it doens't val apart in the race. Do Red Bull also get the £60m that Honda gave McLaren per season? I don’t think so, but I’m not 100% sure. Rather, I guess RB AND TR get free engine supplies. Cool. Hopefully Toro Rosso get a large chunk, as they need it more. Still my dark horses for doing well this year. They get free works engines along with STR, and obviously when Honda promotes their F1 involvement they will also be giving free airtime to the Red Bull brand and the associated sponsors. They gave STR a small amount of money last year to help them redesign the car from a Renault orientated one to a Honda one. The vast majority of the money Honda saved from McLaren, together with the compensation Woking pays Honda, has been thrown into increasing R/D and some has been saved I think. Edited by Talisman, 28 January 2019 - 13:18. RB is also plastered on the MotoGP Honda works bikes. Not true, they'll be running 3 year old engine design, developed back in 2017. Whereas they will be some room for performance improvements, this move should indicate that they will put more effort on reliability. How old is the Mercedes everyone is trying to catch? What are you talking about? They qualified to Q3 only in Brazil, whereas Renault was regular Q3 contender, often best of the rest or close to that. Renault not reaching Q3 was big suprise everytime that happened. Well there is a lot Red Bull can do about it. They can build a superior car and give Verstappen number 1 status to begin with. As far as either Ferrari or Mercedes acquiring Verstappen, I see it as a double edged sword myself. Verstappen is still quite young and comes off as a bit of a hot head or brat at times. I think him being paired with Hamilton at Mercedes could potentially be a bit disasterous, albeit highly entertaining for us with two incredibly quick prima donnas going at it lol. Everything has been going according to plan at Mercedes for the past 5 years, so I can’t see them going to the extreme of signing Verstappen anytime soon unless it’s really necessary (I.e. they aren’t building a winning car anymore), as it would be quite upsetting to Hamilton’s apple cart. With Ferrari I assume they’re best waiting to see what they’ve got with LeClerc. Maybe the Vettel/LeClerc combo will work just fine for Ferrari, and last for many years to come. Who knows atm. On the other hand (as you alluded to), for either team to pass on Verstappen’s talent seems a bit asinine, but we all saw what happened to someone like Alonso. Anyway, there’s a lot of what if scenarios that will dictate Verstappen’s future, so probably best not to get too far ahead of ourselves (seems I might be going OT at this point anyway). 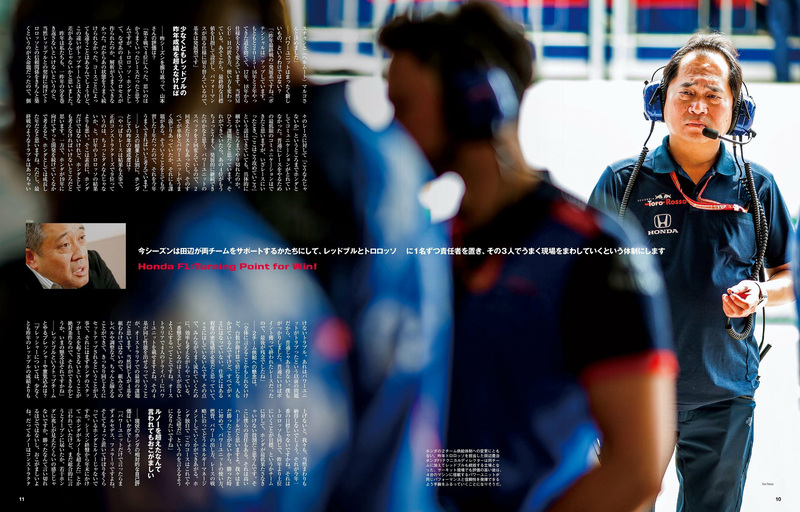 It is longtime rumored, but last week "the inside line" said it as a fact that Max had a Mercedes F1 test driver option for 2015 ( https://motorsport.t...erstappen/17513 ) in his pocket before Marko offered the STR seat. They have been after Max before his STR seat, before his STR/RBR switch (Max had 2+1(rbr), so if no promotion after the first 2 years he would be free) they confirmed they where after Max before his 2020 extension and Toto has said he will try again getting Max after current contract. It's still 2 years on contract, but that was last time also when signed new deal. So, Mercedes will know they can't bring offers to late and for sure when Honda doesn't deliver they will try everything to get him in 2021 but possible buying out one year left contract is also possible. 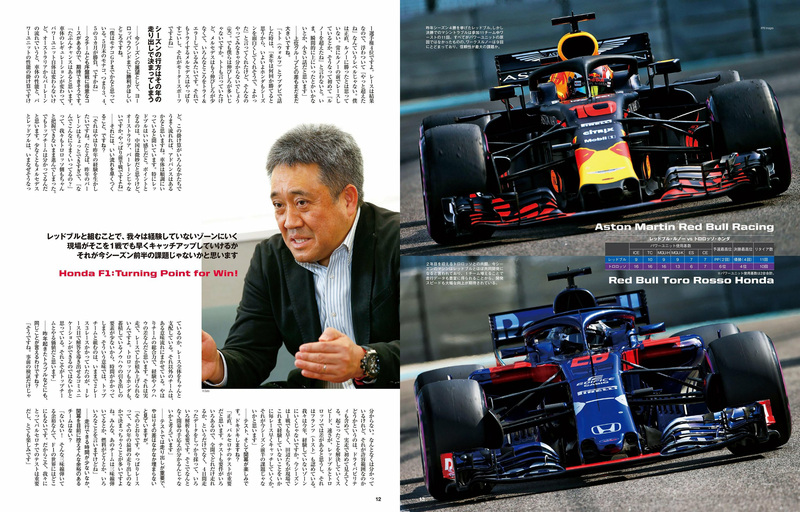 If Honda delivers, Max wil sign new (3 more years) contract RBR very fast is my expectation. Yeah Gasly outqualified (place achieved before any penalties) at least one Renault 8 times according to my calcs. Given the chassis wasnt great and they were mucking about a lot with engines thats pretty impressive, and several times it was very clear the Honda was a long way ahead on outright grunt. of course now they have to do that consistently and without wasting power units.... we shall see! Yep.. I think in Suzuka they had about 0,5 seconds on Renault on pure Q pace. That's pretty massive for an aero circuit considering that TR barely got aero updates that season. EDIT: Sorry Req, I thought I quoted you,lol. Edited by MastaKink, 30 January 2019 - 04:29. Quite a few aero circuits were flipped to power circuits when the new rules came for 2017.
as it would be quite upsetting to Hamilton’s apple cart. This is terrible for fans. It really should be a scenario of signing the two best available drivers and may the better driver win! Edited by V8 Fireworks, 30 January 2019 - 07:05. I think both of you guys are quite right. With the new aero rules many corners are now flat out, so no longer aero dependent. Same for Silverstone. Flat out corners scrub some speed due to the lateral friction. Stronger engines have an even bigger benefit because they regain the scrubbed speed faster etc. It's not so much regaining the scrubbed speed faster. As an example, track A in 2016 may have been 50% throttle in 2016. A car with a strong engine had probably just as much chance to gain laptime as a car with good aero. In 2017 the same track could be 70% throttle, as now anybody can produce enough aero load to get through the corners but there's more chance for a more powerful engine to make laptime gains. “If you miss 70-80bhp you know you’re going to struggle,” Verstappen said after qualifying. “Also with the cars we have [since the 2017 regulation changes] a few corners became flat-out so it gets more and more difficult. “A big problem as well is when you go through a corner that’s almost flat and when you accelerate out of the corner our engine is just not pulling. “You know you just don’t have the horsepower. And when the corners are flat, when you start scrubbing speed because of steering, we lose even more. Edited by A3, 30 January 2019 - 09:37. I agree - see my first sentence: more corners no longer aero dependent. I think that is the biggest effect indeed. But if you look at tracks like Spa, weaker engines lose a lot more through Eau Rouge than they lose on straights like China. Same for the 130R in Suzuka.. those kind of full throttle corners hurt weaker engines massively. This is a secondary pain for weaker engines. Read this on forum Max Verstappen website, thought i share it. This comes from a cheerful MK. Not very special, most of it has been shared a long time ago. But due to lack of news you see all kinds of sites with old, combined texts "news". Sometimes even parts of biographies, such as the book published by Newy for over a year, are used for high-profile headlines. "Why Newey did not want to work with Schumacher" for example. The RB15 is in the starting blocks, and the unsurpassed simulators i.c.m. RB test bench and wind tunnel show good, very good figures. We start 2019 with even better downforce figures than where the RB14 2018 ended. Of course, RB does not know what the other teams have achieved, but Newey seems to have delivered a daring piece by fully neutralizing the intended consequences of the new airo rules. Then Honda. Honda continues with the 2017 concept. This is explained negatively here and there. It is nothing more, or less than the placement of the turbo and the MGU-H. It follows the setup of both Mercedes and Ferrari and offers the most possibilities when it comes to adjustments. Simply because there is more room for that. Then the vibrations, or resonances. Nothing new, and certainly not worrying. Deserves constant attention when increasing the power. The frequency of the vibrations changed, and also resonances. I did write an extensive piece about it a long time ago. It is these resonances that can lead to possible unreliability. That applies to every team. It is not a specific Honda problem. At the start of the season, the problem is under control at the available power. It is currently assumed that the Honda in qualifying less than 25 KW shortage on Ferrari and Mercedes at the start of the season. That is much less than last season, and can go through the chassis i.c.m. Max can be compensated. The intended goal is to continue to strive for a relatively steep development with the power source. As a result, more than 3 updates can be used if an additional engine and corresponding grid penalties are accepted in a strategic manner. Max is expected to be able to re-establish himself as soon as possible to the natural location of the RB15 in such cases. Hopefully the first starting row. the current concept is deemed to have 50KW of potential after the start of the season. Whether that is optimistic, or will have to be careful. But we know Honda rather on the cautious side. The new openness will soon become clear in the winter tests where the RB15 really stands. A driver already knows within a few rounds whether there is a potential winning concept. Good looking at the eyes, body language and maybe just honest statements of Max. The pressure is full from all sides, but that is part of a top team. Soon all the nice talk will be behind us, and only the stopwatch will speak. May it be clear that RBR does not have to give a nice presentation with little weight to interest sponsors. Guarantees and guarantees are not there, and never been in the F1. But it just looks very good. More than 2 weeks and then the party starts. Edited by Vollegas, 31 January 2019 - 00:31. 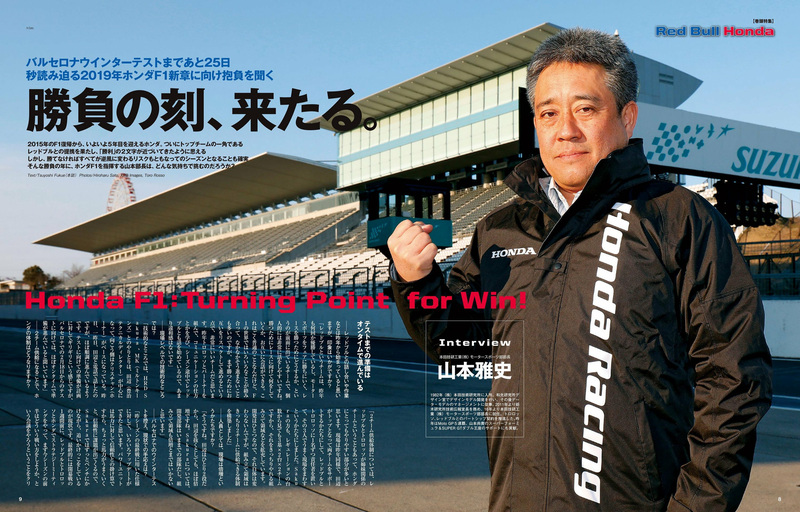 New Honda interview from F1 Sokuho breaking news issue, is anything interesting, Talisman? Ummm...I did a bit of research after being told that a F1 fan who does not know the history of the sport is a phoney!..Anyway. Mercedes dominated F1 during the 1930s. “A big problem as well is when you go through a corner that’s almost flat and when you accelerate out of the corner our engine is just not pulling." Has he tried out the other engines in the the Red Bull chassis to be definitive? 3. (No surprises here) but Red Bull is a true top team that understands all factors at play, where as teams like Toro Rosso and McLaren are left scratching their heads when a good result happens. Emphasis is on MB and RB, which are the only two teams that understand all factors at play. Even Ferrari is lacking in this regard. Honda is looking to RB to gain understanding in these areas, or at least, understand what sets these two teams apart from the rest. 6. That MB is reaching near the limit of the current formula and are trying things by trial and error (which is the spirit of racing). 9. Honda's development for winter testing is on schedule. 10. The RB15 car development is said to be going particularly well from what he hears. Edited by lio007, 31 January 2019 - 05:15. Read this on forum Max Verstappen website, thought i share it. please, leave that drivel out of here. Uhm, he can compare to other cars driving around him? That, and the team has GPS data of course. Interesting comments. Honda is a lot more careful about its own performance than Marko is. You're suggesting that the only way to see the true differences between pu's is to test them in the same chassis. That really isn't true. Based on GPS data they can see where a car is suffering compared to others. No surprise there, Marko has a decision to justify, and an engine supplier to put under the hammer. Like McLaren did claiming they had top3 chassis?